Following on from my last blog, I have been spoilt a little more. In today’s loot was the most amazingly timed present (I would like to say EVER…but I don’t want to offend others). 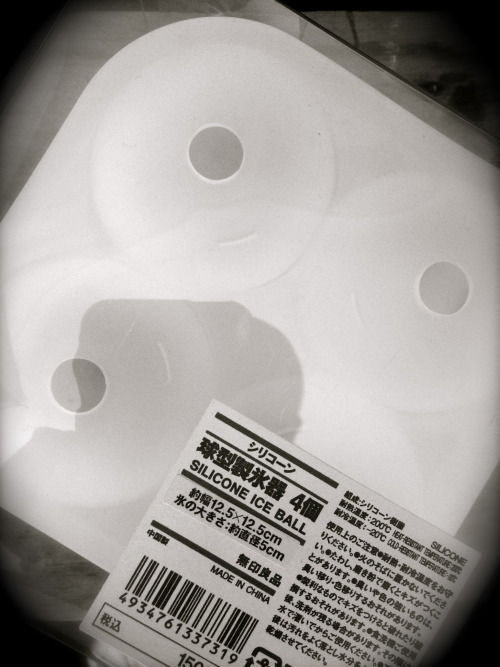 For those of you with no idea what an Ice Ball Maker is, listen up…it will change your life. I say this in all seriousness – these wonderful devices will change the way you think about cold beverages. IBM (Ice Ball Making) was serious business in our London flat. When having guests over you always offered an “Ice Ball” – in a drink of course…not just on a napkin or side plate – you were sure to impress. I think IB’s are the reason for my love of Whiskey…first came the IB, then the Whiskey. The reason I am so over-the-moon about today’s package, is, as of yesterday, ice is my new best friend. The worst side effect I have experienced from chemo is the acid taste that has taken up residence in my mouth. You can brush to your little hearts content and guaranteed 5 mins later, it’s back. Now don’t go feeling sorry for me, it’s just part of the process. I am just happy I have a solution – breakfast, lunch and dinner – “Would you like some ice with that?”.